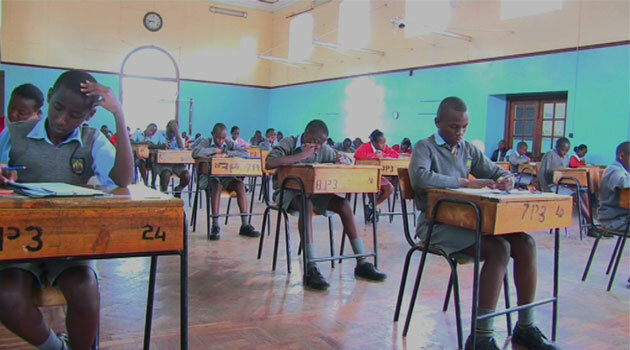 According to the timetable by the Kenya National Examination Council (KNEC), KCSE examinations will take one month while KCPE examinations will last three days starting Tuesday. Photo/FILE. By DAVIS AYEGA, NAIROBI, Kenya Oct 29 – The clock is ticking for candidates across the country as the preparation for both Kenya Certificate of Primary Education (KCPE) and the Kenya Certificate of Secondary Education (KCSE) gets underway. A total of 1,003,556 candidates will sit the KCPE while 615,773 will sit for KCSE in this year’s national exams. KCPE candidates are expected to start their rehearsals on Monday while the rehearsals for the KCSE candidates are scheduled for November 3. All form four candidates who registered for home science practicals will write the examination papers tomorrow (Monday). The paper was postponed following disruptions of the examination’s schedule because of last Thursday’s repeat presidential election. According to the timetable by the Kenya National Examination Council (KNEC), KCSE examinations will take one month while KCPE examinations will last three days starting Tuesday. KCPE candidates will then proceed to sit for their Mathematics, English language and composition which will be done on Tuesday. Kiswahili lugha and insha will be done on the second day. The three-day examination is scheduled to end on November 2 with the candidates expected to sit for their Science and religious studies papers.